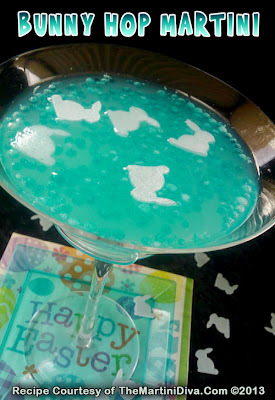 A BLUE EASTER MARTINI full of BUNNIES! Because I found these fun little edible bunny candies & I had just an ounce or so of Hpnotiq! Throw in some tropical elements and you've got a fun Easter cocktail!